After opening in select theaters last year, the critically acclaimed comedic drama Inherent Vice is set to expand across the country on January 9th. Warner Bros. is celebrating the nationwide release with a set of character posters featuring some the more popular cast members. Here, we get to meet Coy Harlingen, Lt. Det. Christian F. "Bigfoot" Bjornsen, Jade, Sauncho Smilax, Esq and Deputy D.A. Penny Kimball. 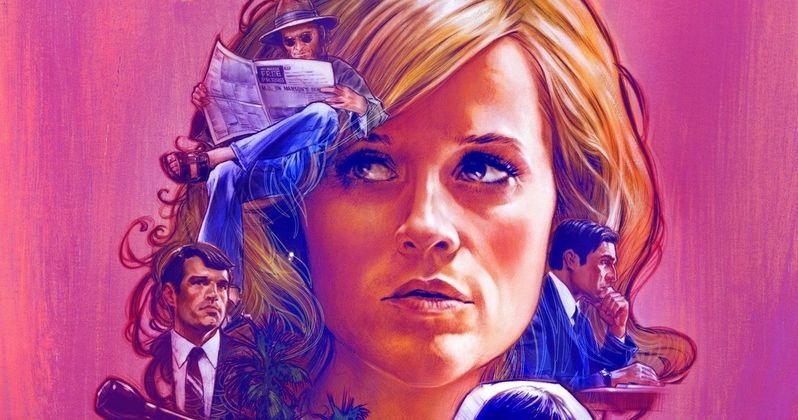 Inherent Vice is the seventh feature from Paul Thomas Anderson and the first ever film adaption of a Thomas Pynchon novel. When private eye Doc Sportello's ex-old lady suddenly out of nowhere shows up with a story about her current billionaire land developer boyfriend whom she just happens to be in love with, and a plot by his wife and her boyfriend to kidnap that billionaire and throw him in a looney bin...Well, easy for her to say. It's the tail end of the psychedelic `60s and paranoia is running the day and Doc knows that "love" is another of those words going around at the moment, like "trip" or "groovy," that's being way too overused, except this one usually leads to trouble. With a cast of characters that includes surfers, hustlers, dopers and rockers, a murderous loan shark, LAPD Detectives, a tenor sax player working undercover, and a mysterious entity known as the Golden Fang, which may only be a tax dodge set up by some dentists...Take a look at just a few of the wild cards Doc meets on his journey in these latest one sheets that feature Reese Witherspoon, Josh Brolin, Benicio Del Toro, Owen Wilson and Hong Chau.